Our line-up of outdoor portable storage sheds are available in the most popular sizes. Win back garage space or create new storage space with an affordable shed or storage shelter from the #1 brand in retail shelters. 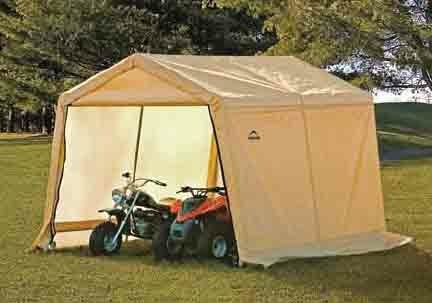 The perfect low cost storage solution for ATVs lawn & garden equipment, firewood, tractors or bulk storage with the same quality features as our larger units.